As a road player in the hustlin' 1960's, Joss Cues founder Dan Janes learned what it took to be successful from the best players who ever lived. Those hard earned secrets from the road are poured into each Joss Cue today and have made Janes one of the key figures in the modern era of cuemaking arts. Joss Cues is a real family effort that results in a company that cares about its product and clients. Joss Cues® was born in 1968 in a two-car garage in Baltimore, the brainchild of Dan Janes and his partner. Working with one ancient manual lathe, a butcher-shop band saw, one drill press, and a single work bench, the two former road players took some of contemporary cue making’s first steps away from the traditional four-prong design, innovating the "floating points" concept and many others. Their unique ideas coupled with Dan’s personal relationships with the best players of the times including: Willie Mosconi, Steve Mizerak, Weenie Beenie, Eddie Taylor, Ed Kelly, Larry Lisciotti, Luther Lassiter, Jimmy Fusco, Richie Florence and Joe Balsis, just to name a few, helped make Joss virtually an instant success. Joss has remained at the forefront of cue making in the more than four decades that have passed. Joss Cues® are created from the finest materials available. 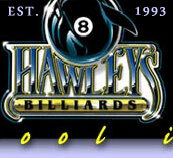 The work is done by some of the finest craftsman in the billiard industry. We are very proud of our cues and inspect each cue during the work process and a final inspection is performed before each cue is packaged for shipment. Joss Cues® warrants to the original purchaser that its cues are free from defects in material and workmanship; we shall repair or replace the cue at our discretion. All parts of the Joss Cue® are covered by the warranty, but excludes warpage and normal wear on replaceable parts such as the tip, ferrule, finish, wrap and bumper. In the unlikely event you discover a flaw in your cue or should it become damaged, do not attempt to repair your cue. Contact your dealer or contact Joss Cues® direct for instructions. Joss Cues® covered by warranty will be repaired or replaced without charge. This warranty is void if your Joss cue has after-market products or has been subjected to mishandling, misuse, abuse, repair or altered by an entity other than Joss Cues® LTD. The warranty applies to Joss Cues® belonging to the ORIGINAL owner, and is nontransferable. Joss Cues® will resolve all warranty claims at its discretion. Joss Cues® are NOT warranted against breakage or warpage. We have no control over how the cue is used or the environment in which the cue is stored, we assume NO responsibility for warpage, breakage or any type of water damage. All Joss Cues® leave the shop straight and in new condition. When you receive or buy your cue inspect it thoroughly.